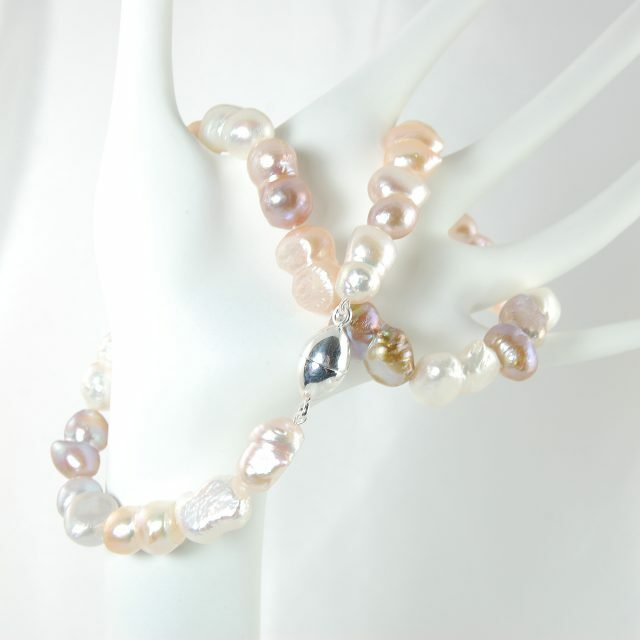 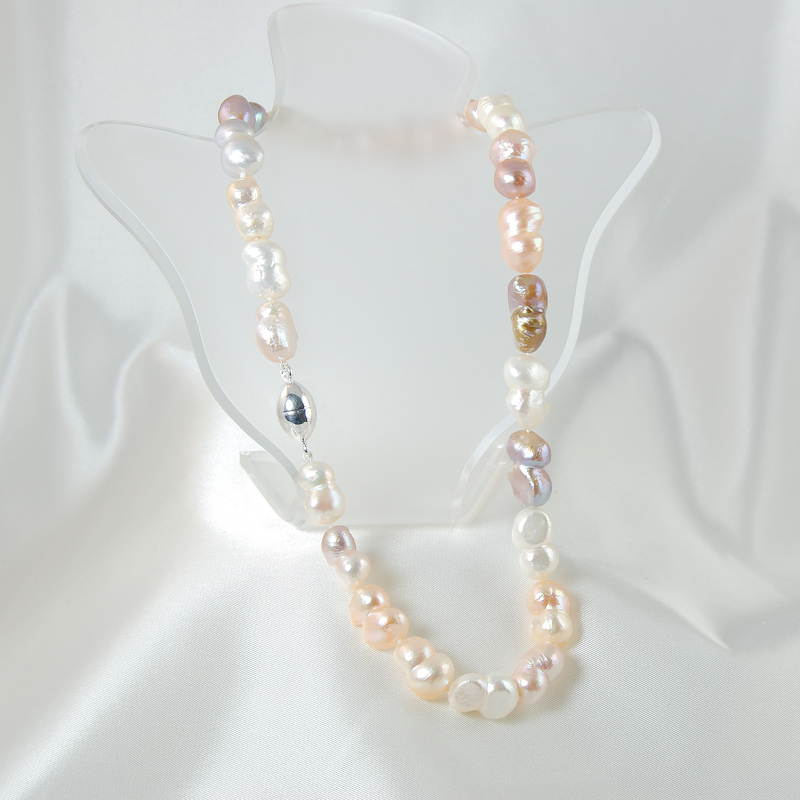 Baroque pearls are unique as they often have highly irregular and interesting shapes such as these peanut-shaped cultured freshwater pearls. 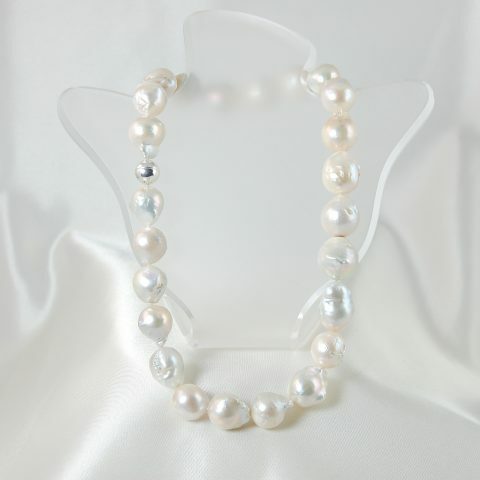 They are commonly used in necklaces worn at less than formal occasions and blend well with all kind of fashion styles from elegant to gothic, exotic to casual, and everything in between. 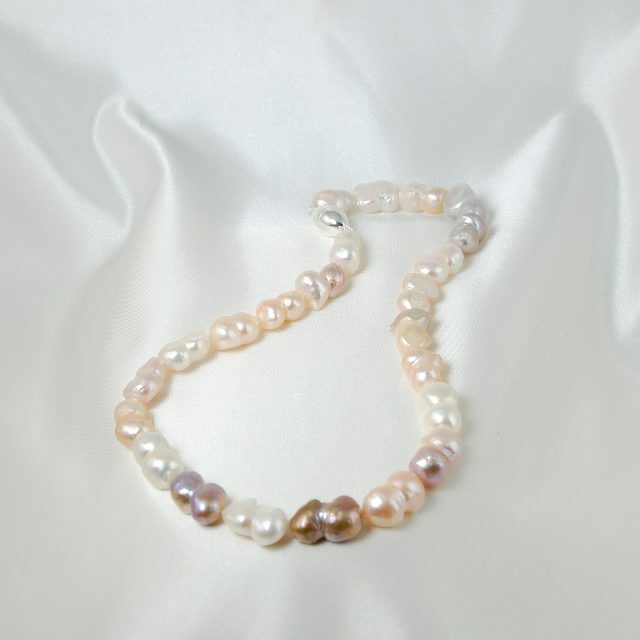 These pearls have natural color shades exhibiting hints of iridescent white, soft to peachy pink and even purplish pink shades. 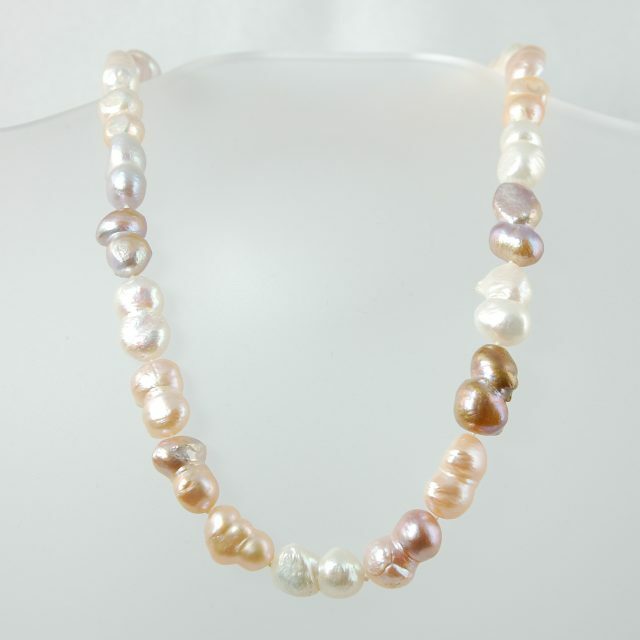 These baroque slightly oblong beauties graduate in length from 16 to 20mm and are hand knotted. 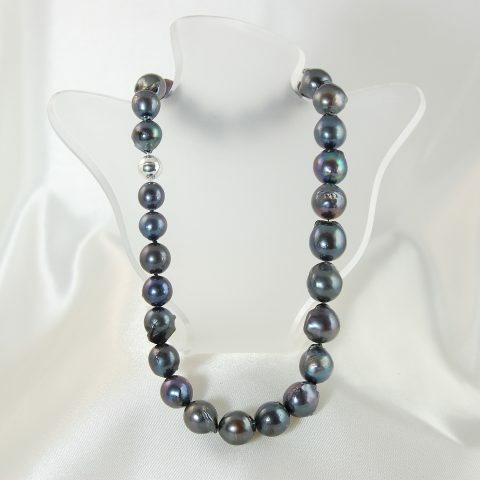 This necklace measures 17 3/4 inches and is finished with a handy polished football-shaped sterling silver magnetic ball clasp.